Madrid (AFP) – Atletico Madrid coach Diego Simeone opted for Belgian winger Yannick Carrasco to compensate for the absence of Fernando Torres up front as his side look to dump Barcelona out at the quarter-final stage of the Champions League for the second time in three seasons. Torres is suspended after being sent off in the first half of the first leg eight days ago after firing Atletico into an early lead. Barca fought back through two Luis Suarez goals to hold a precarious 2-1 lead as they look to continue their quest to become the first side to retain the Champions League. Augusto Fernandez comes in for Torres in the only change to both sides’ starting line-ups from the first leg. 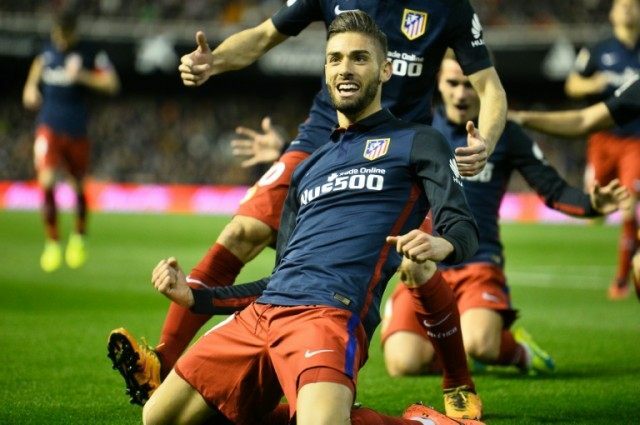 The Argentine will start in midfield with Carrasco moving further forward to partner Antoine Griezmann in attack. An alarming dip in form has seen Barca take just one point from a possible nine in La Liga. However, coach Luis Enrique keeps faith with his preferred European 11 as Suarez, Jordi Alba, Ivan Rakitic and Andres Iniesta return to the side that started Saturday’s 1-0 defeat at Real Sociedad.